FREE REPORT: Want to Know 8 Crucial Lessons you need to teach your nearly-flown? After countless parents asked what topics we've taught students for years, we've created this guide to take guesswork out of where to start. Grab your free guide today, and have a blueprint to follow tonight. Developed by parents previously in your shoes. This guide has 8 of the most important topics your nearly grown needs to know with concrete help on how to start their learning. The world is going to take over when they fly off. Are they ready? 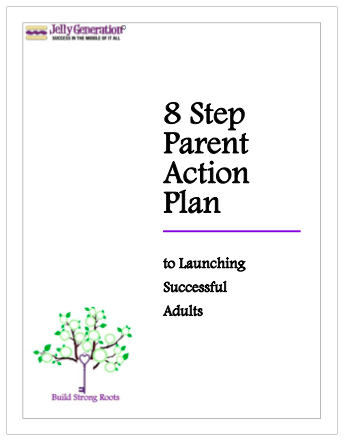 This guide points out success systems they need to start now. Having countless numbers of students and talked with many a parent, we compiled these 8 steps using their input. From a "Quick Response Notebook" to teaching points, you will sleep better knowing you went "pro-active" in your last moments with them before the world takes over. Your 12-Page Guide will be emailed to you. Make sure you check your spam folder in case it gets "stuck" there! Bye for now. Just enter the information below so we will know where to send it. Be sure to check your "spam" folder if it doesn't show up in a reasonable time frame.